From the very first day after the disaster up to today, the report says children have been failed by authorities, receiving what EHRC chair David Isaac calls “disjointed mental health and educational support.” This “support” did not include private counselling sessions to help with the post-traumatic stress disorder (PTSD) victims may be suffering from, with only group sessions available to many children. The report is based on interviews with families affected by the fire. 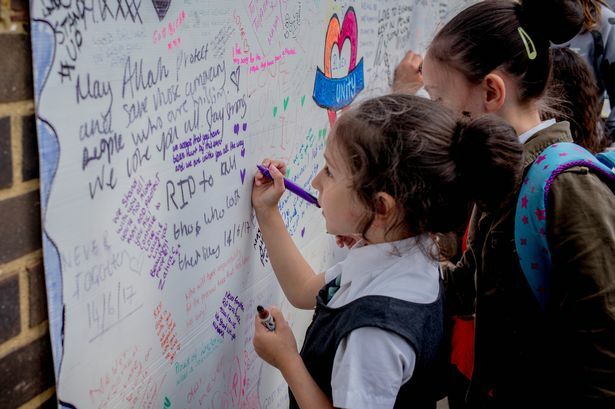 One interviewee told the commission the children “don’t know where to turn, because there aren’t the services available.” Schools have also been found wanting, with children facing uncertainty and confusion when turning up for exams, while staff are ill-equipped to deal with behavioural issues, such as anger, stemming from the trauma of Grenfell. Kids have been turned away from exam halls because of these issues.